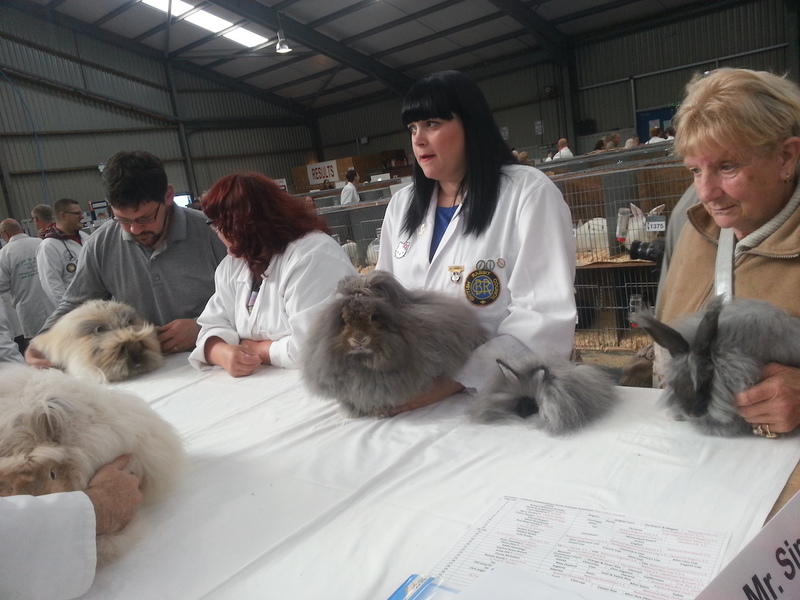 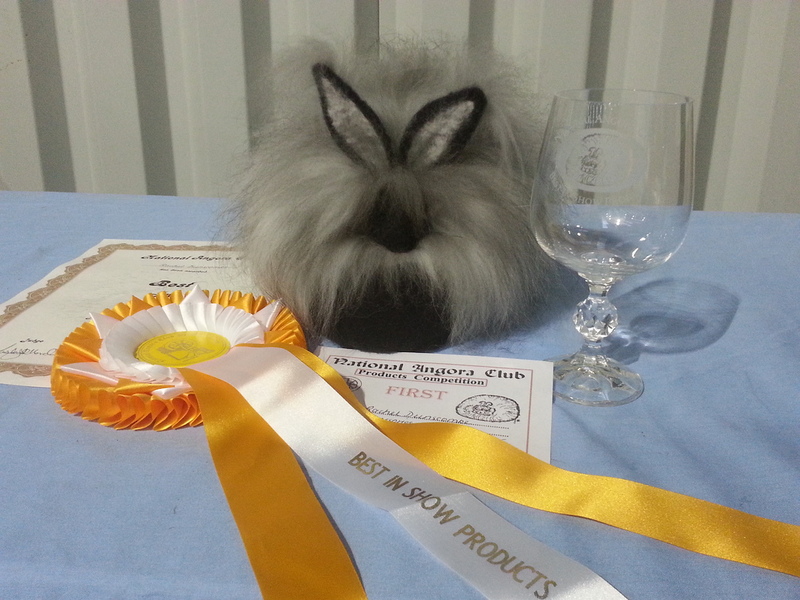 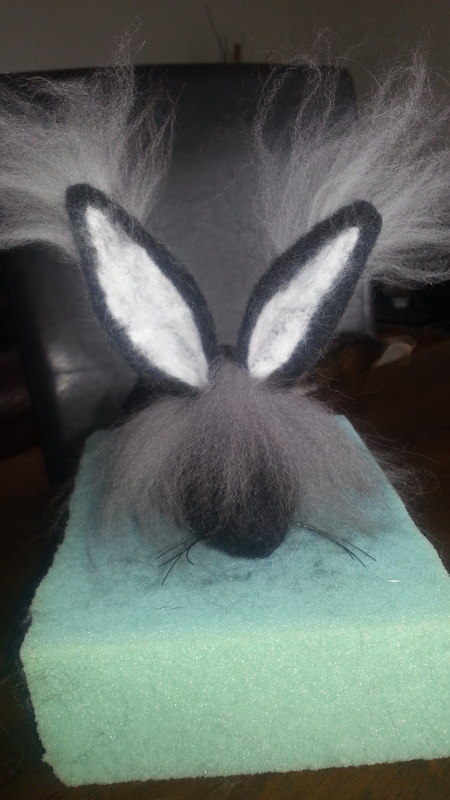 I have been keeping rabbits since I was 7 years old (first rabbit was and English lop/cross called Loppy) I met my first angora rabbit a few years later, when the mother of my best friend bought a smoke (Blossom) so she could spin and knit the fibre. 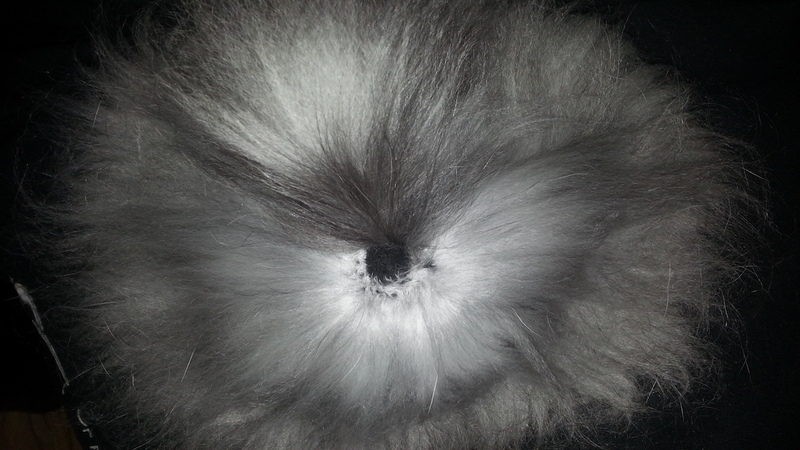 This was my inspiration for my love of the breed and specifically smoke. 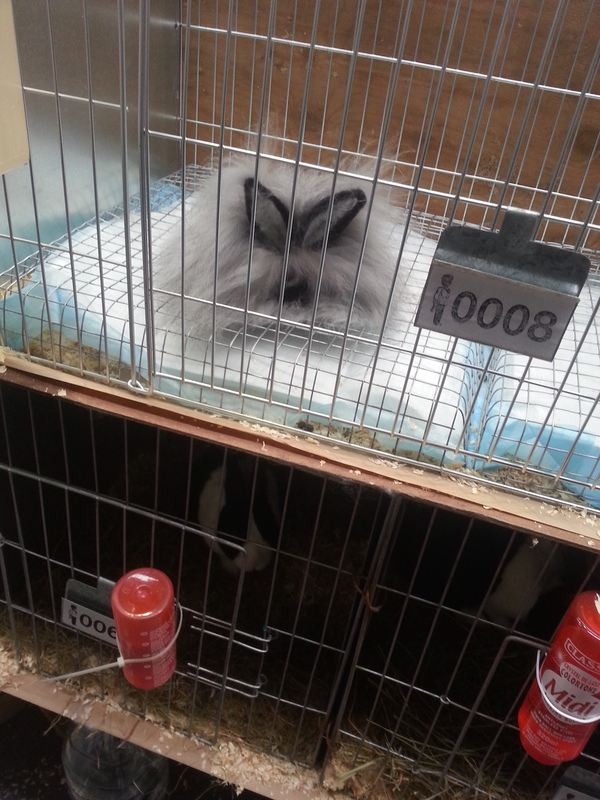 Several breeds later I bought my two beautiful boys Benjamin and Elliot from the wonderful Sally May in 2014. 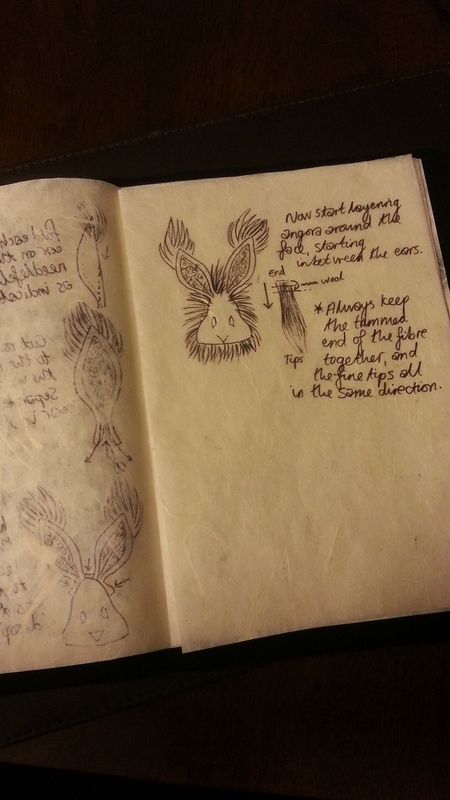 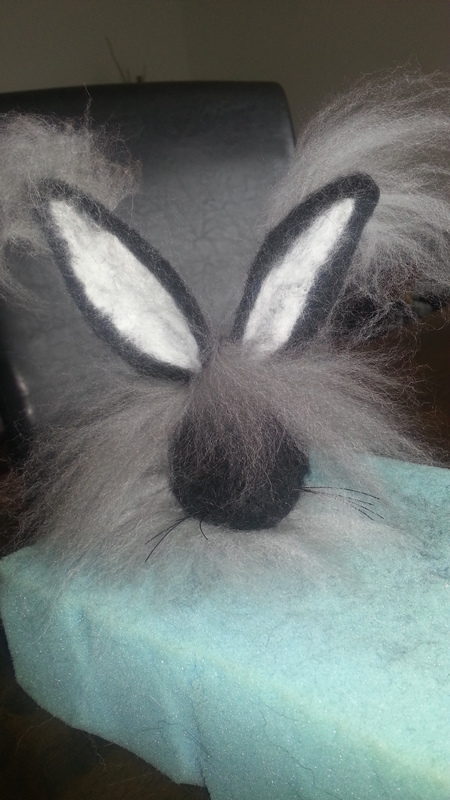 I have always been a creative and I’m an artist and designer professionally, so I felt very keen for my bunnies to be a part of my creativity. 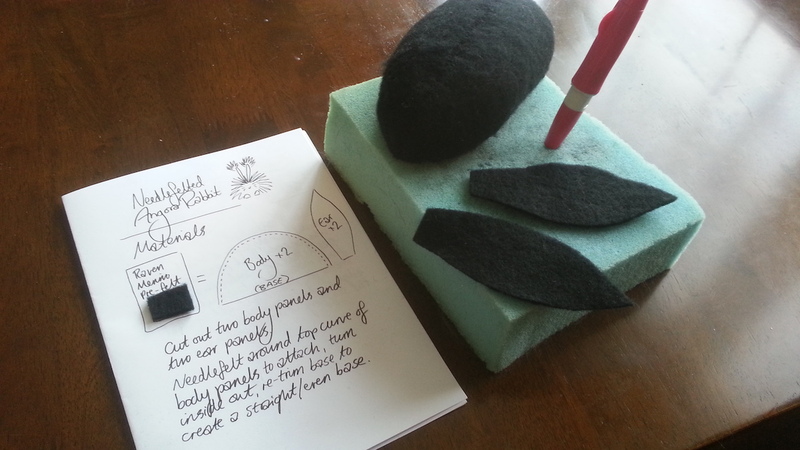 I was so excited by the idea of my boys being able to essentially ‘grow’ my craft supplies. 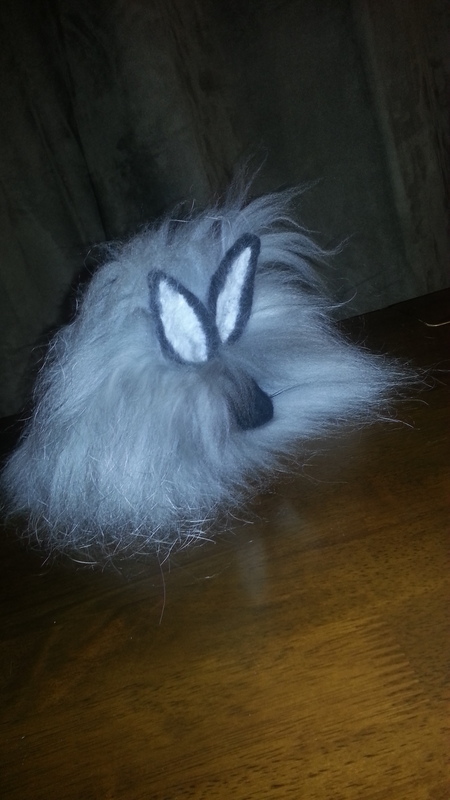 I loved making toys as a child and practically grew up on a sewing machine with my mum, so I was instantly drawn to the idea of needle fleeting toy angora rabbits. 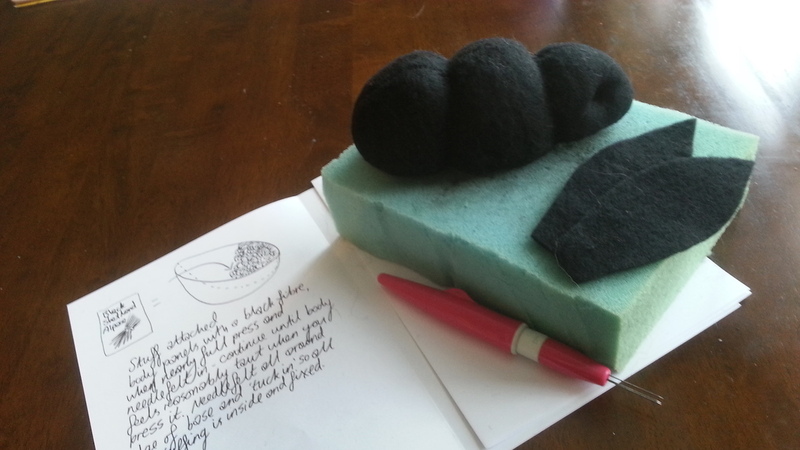 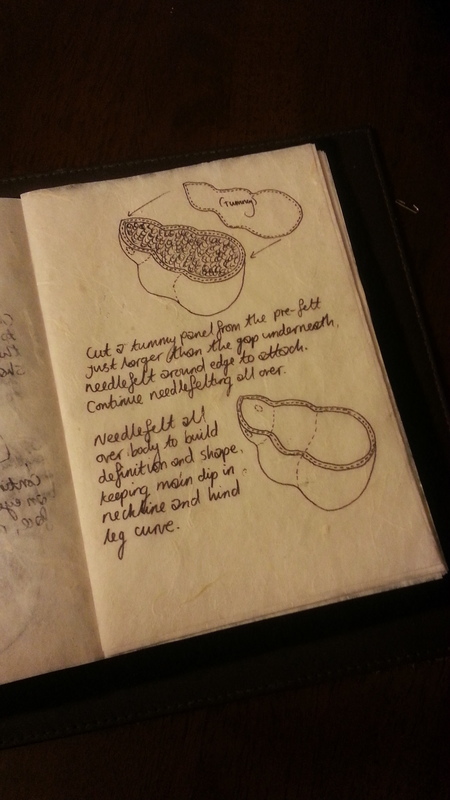 Needle felting came very naturally to me, I believe my artistic understanding of proportions, figure and shape helped. 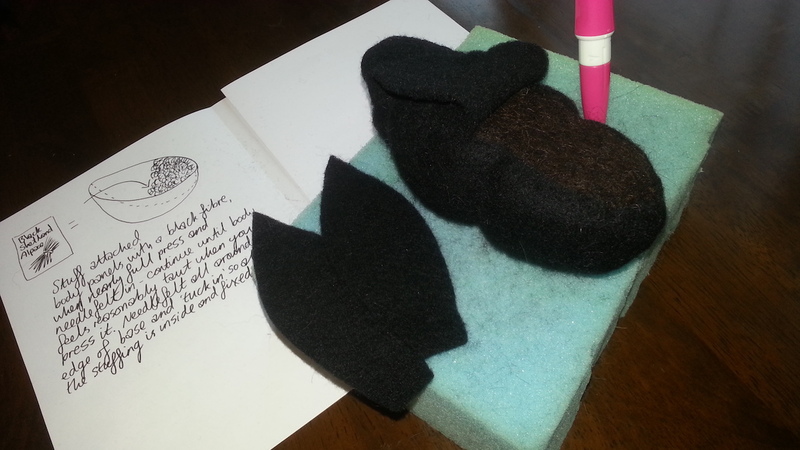 Needle felting is also a valuable outlet for the self-destructive feelings I struggle with on a daily basis (I was diagnosed with Borderline Personality Disorder in 2012) and my bunnies and crafts play a very important part of my recovery. 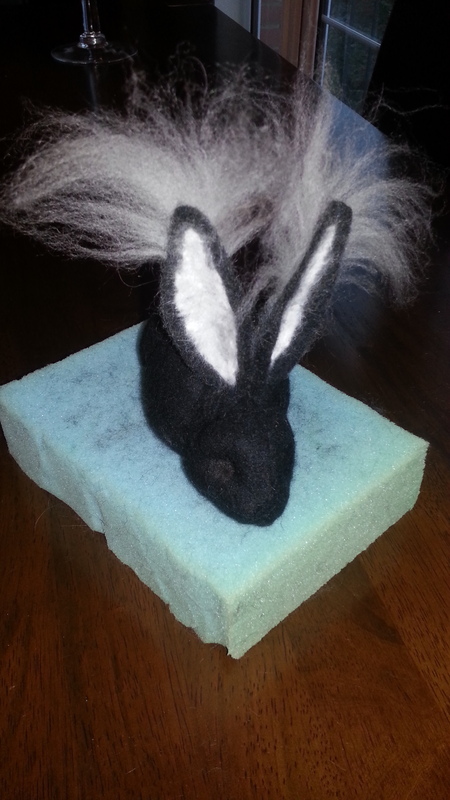 I watched a variety of YouTube videos for picking up the basic technique (I recommend ‘Sarafina Fiber Art’ and ‘Yvonnes Workshop’ – both on Facebook). 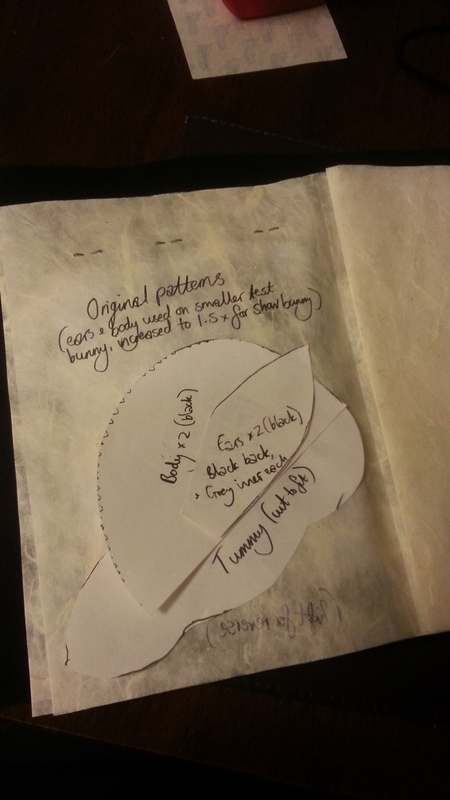 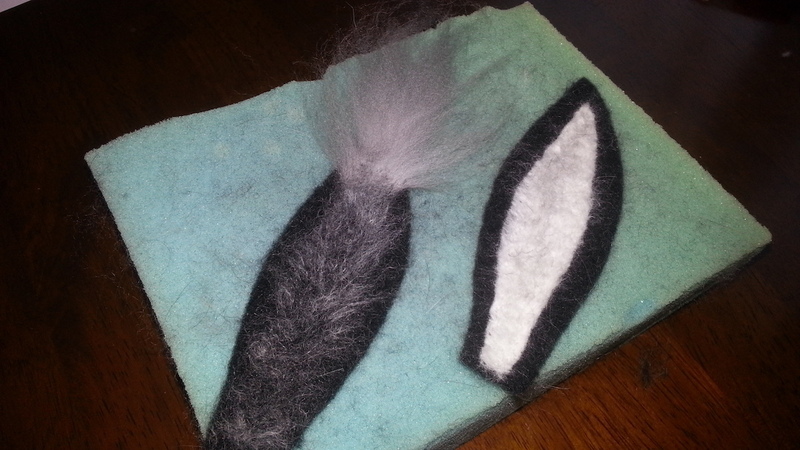 Inspired from my toy making days, I drew a pattern and cut out panels of merino pre-felt (raven is perfect for smokes). 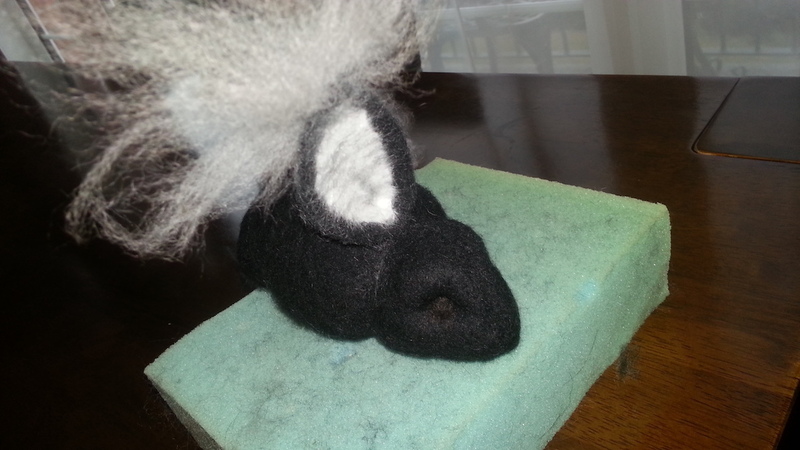 I then used a needle felt pen on the sewing line, turned the body inside out, stuffed until taut (pre-felt off cuts are ideal) and shaped. 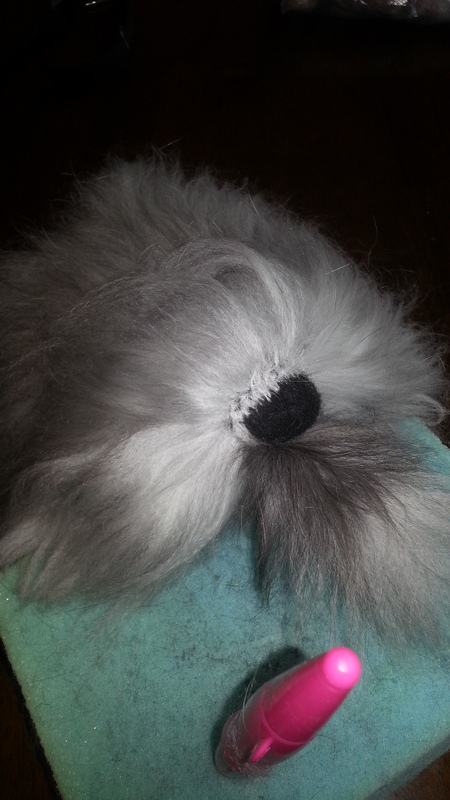 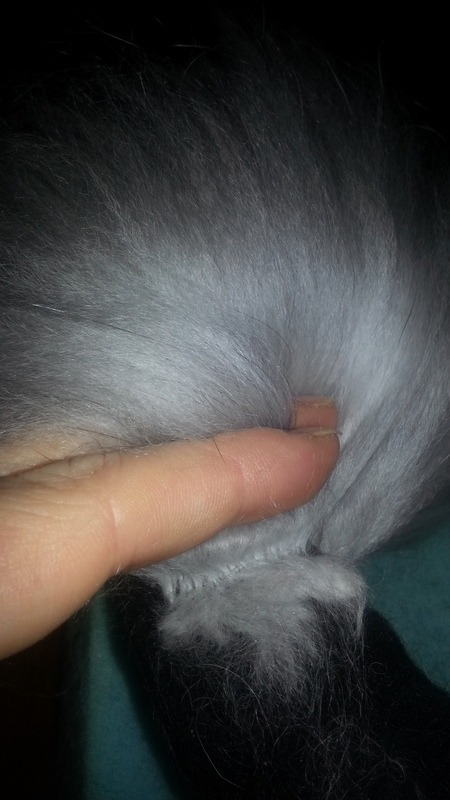 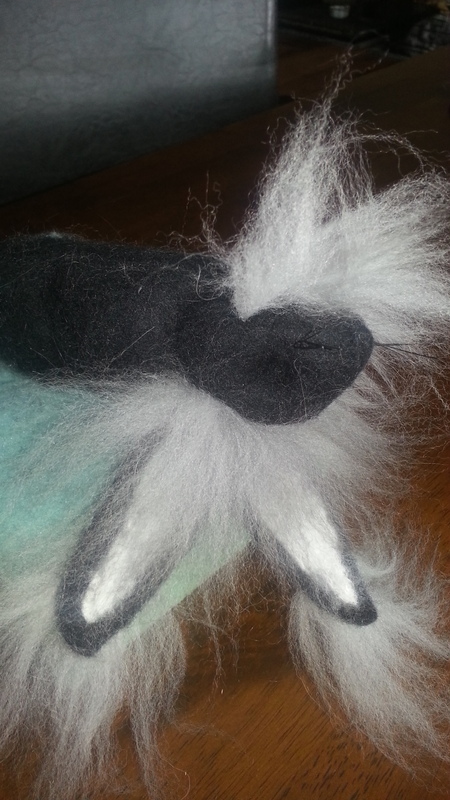 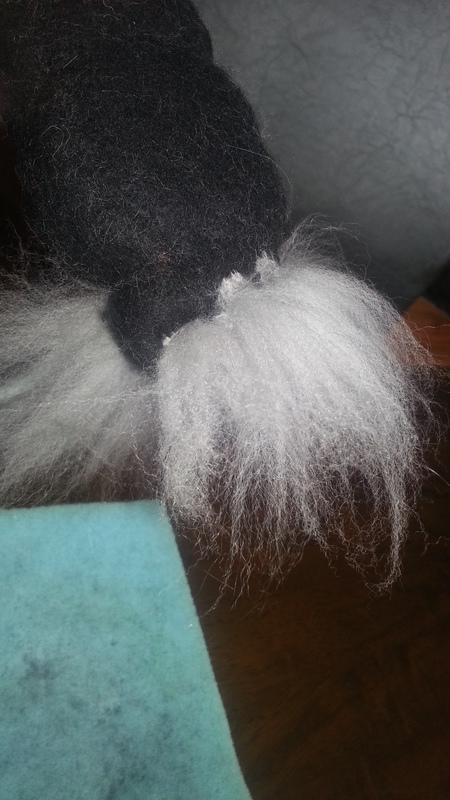 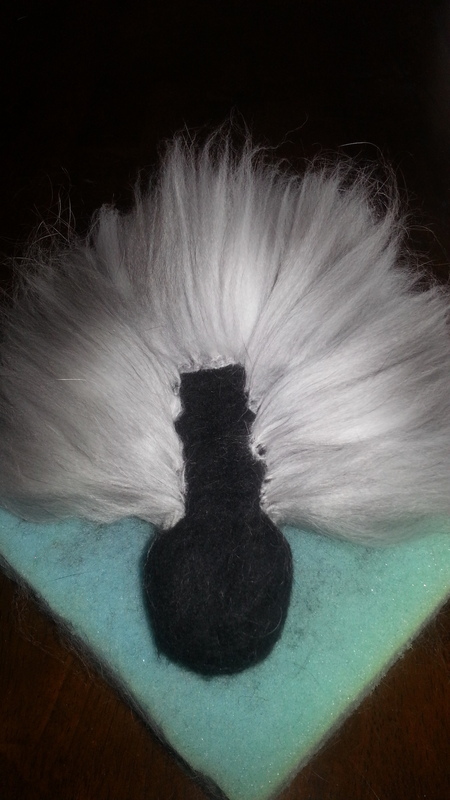 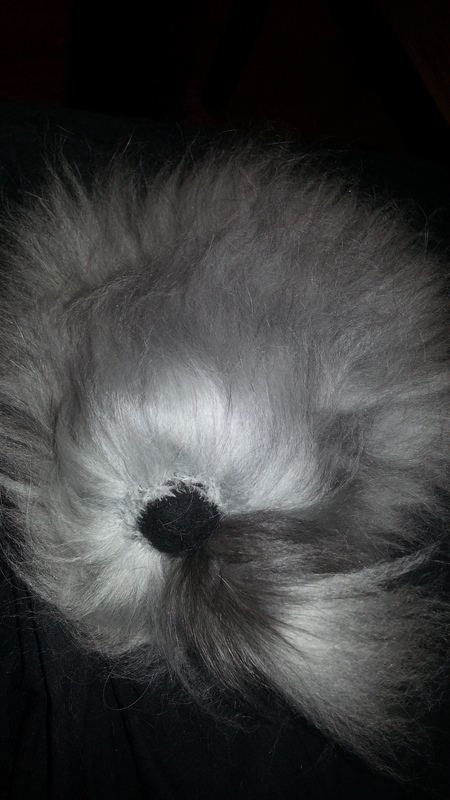 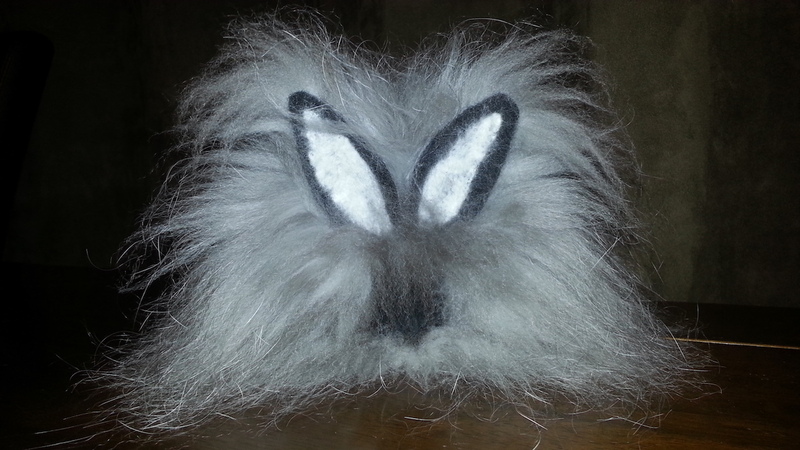 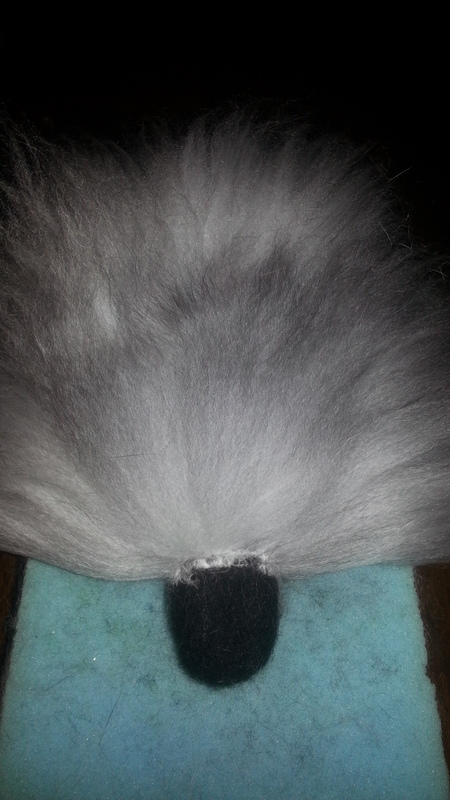 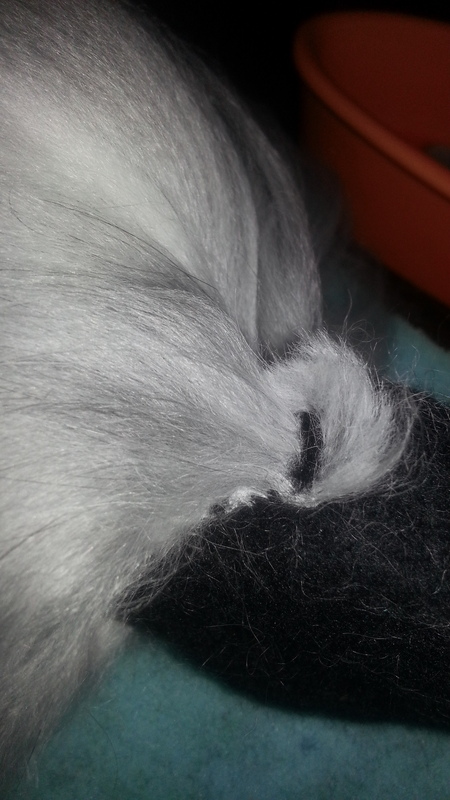 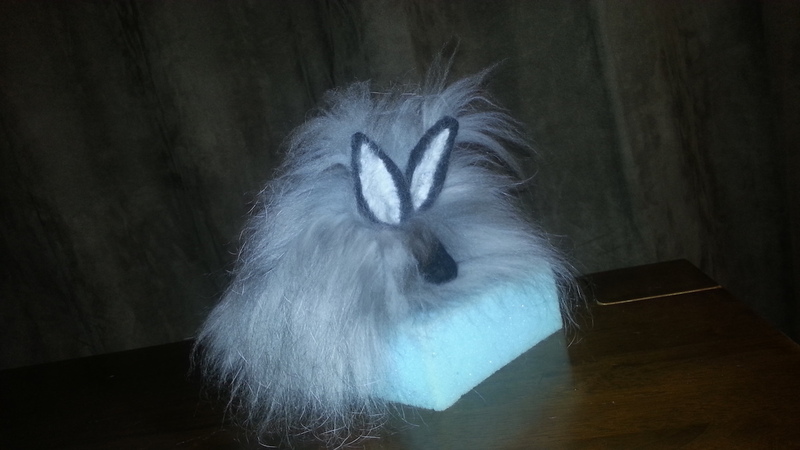 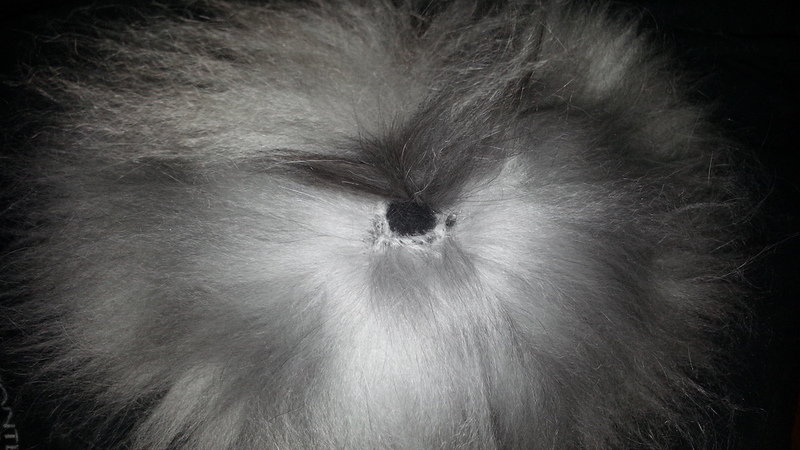 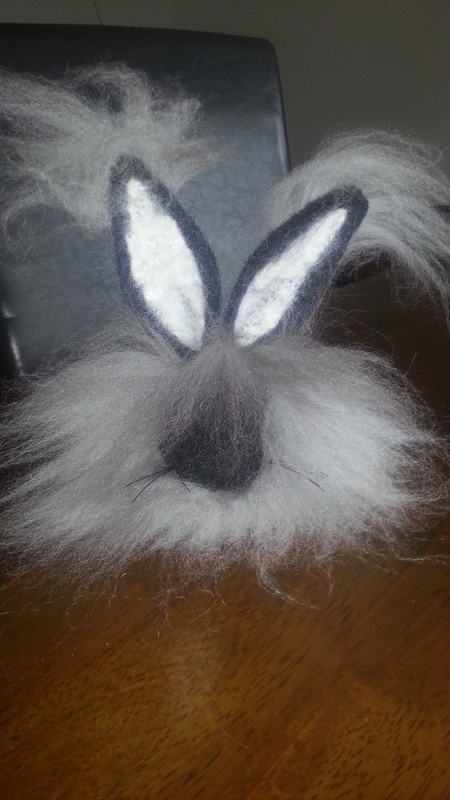 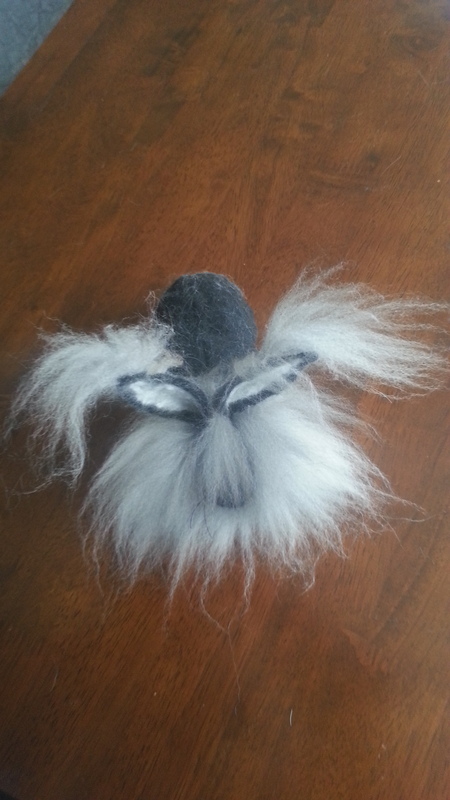 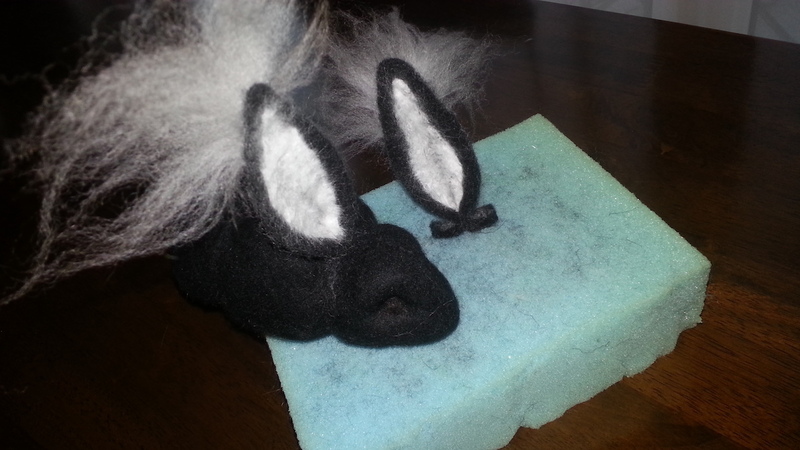 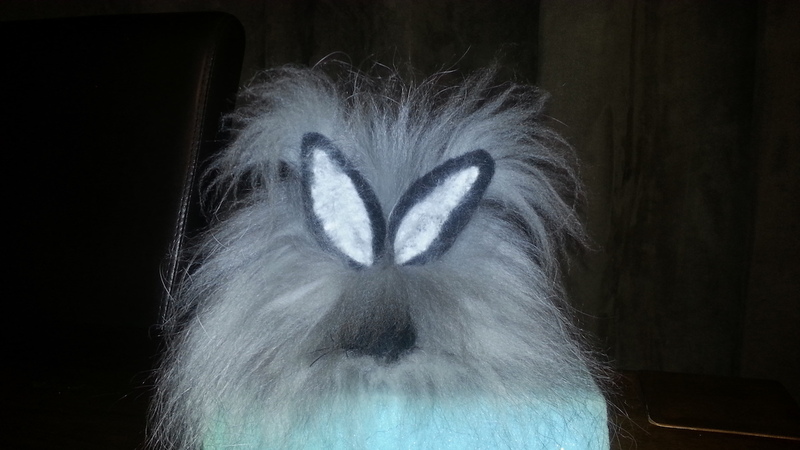 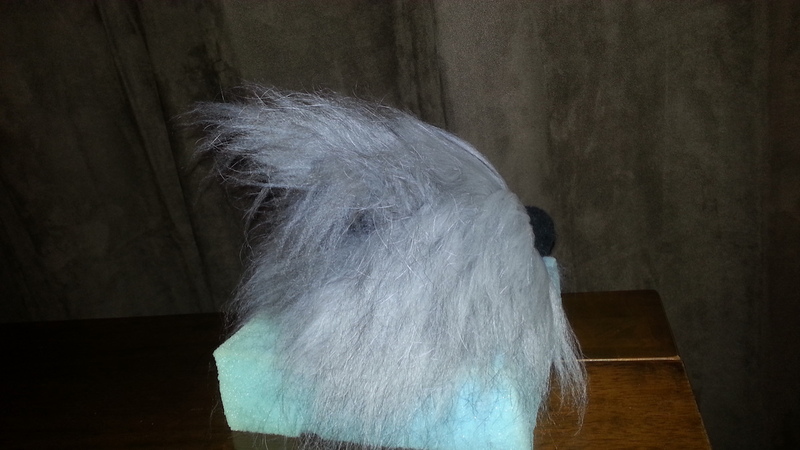 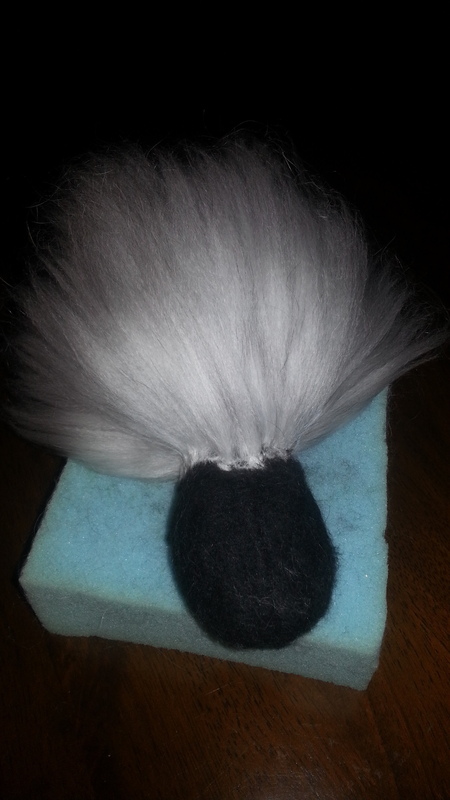 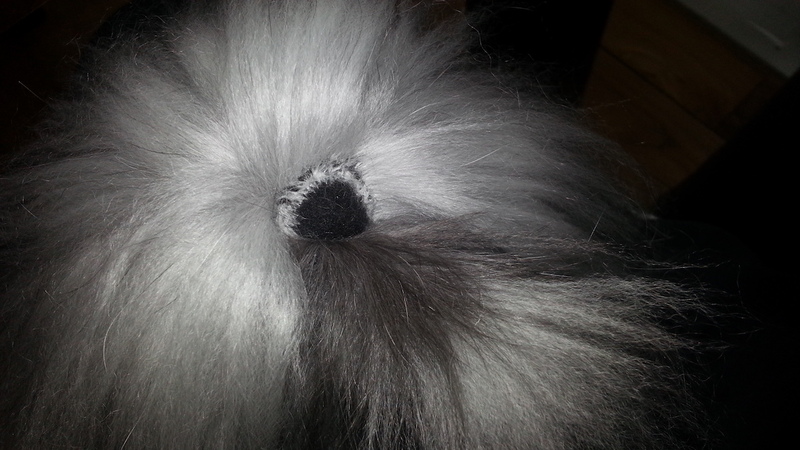 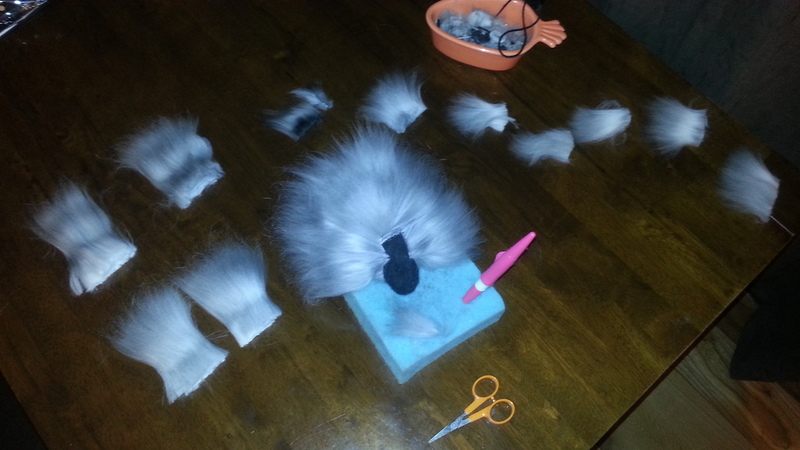 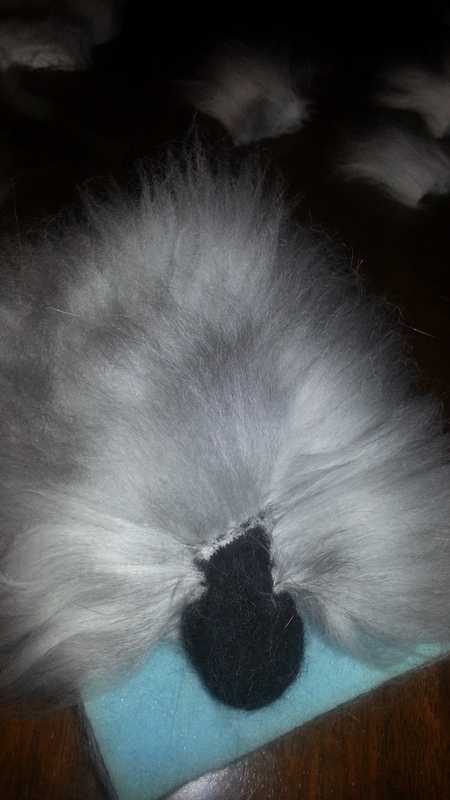 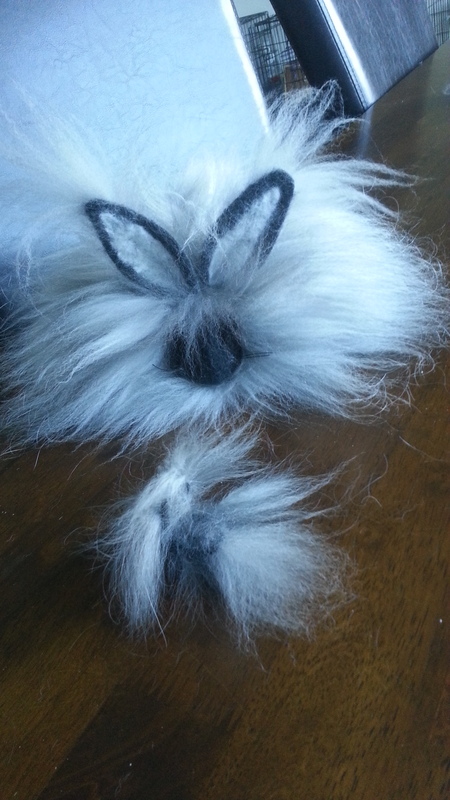 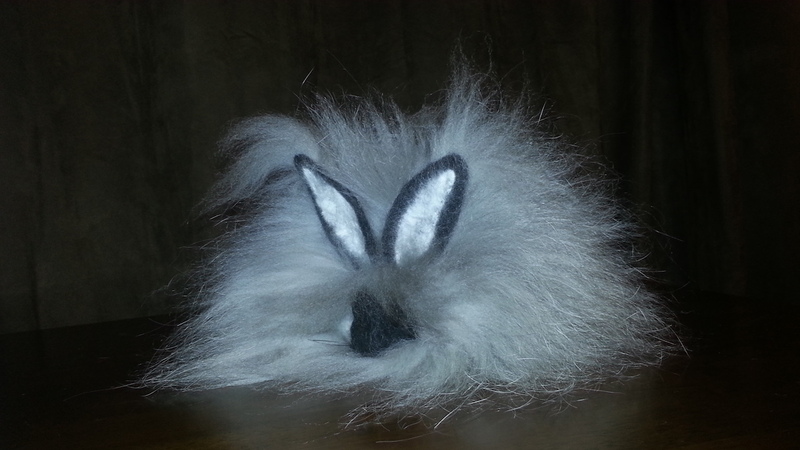 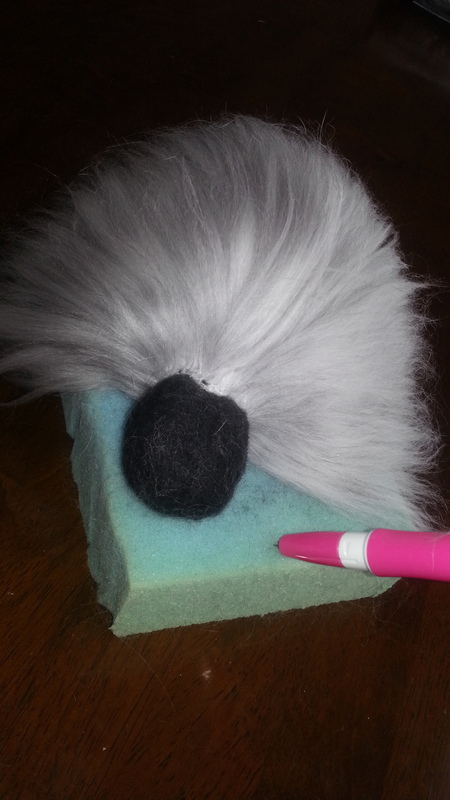 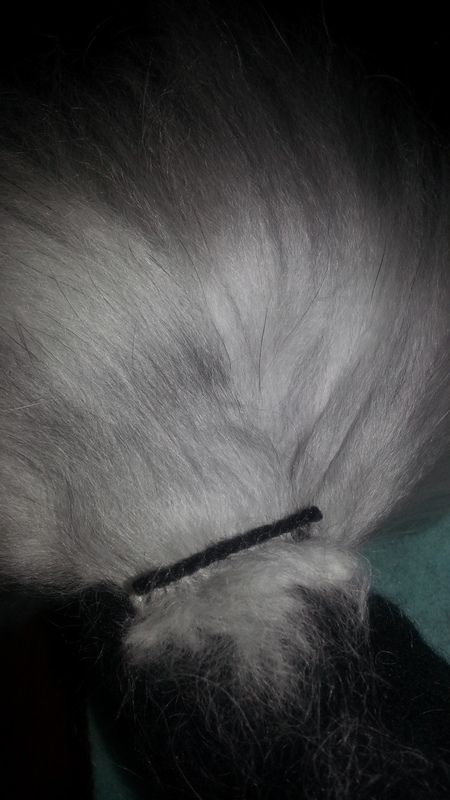 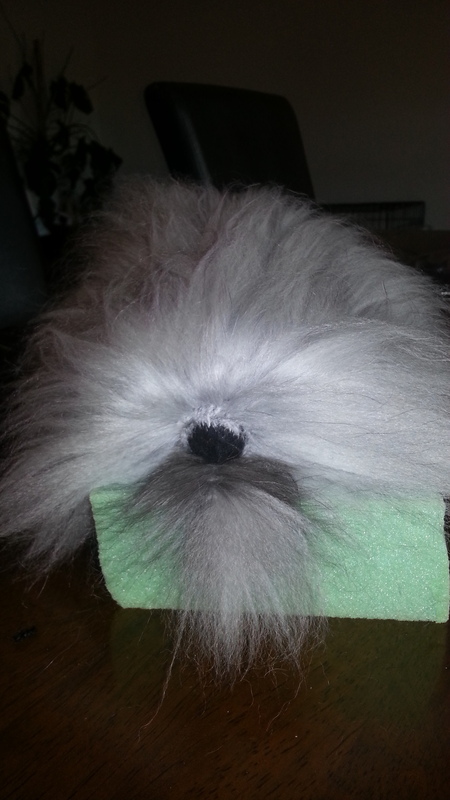 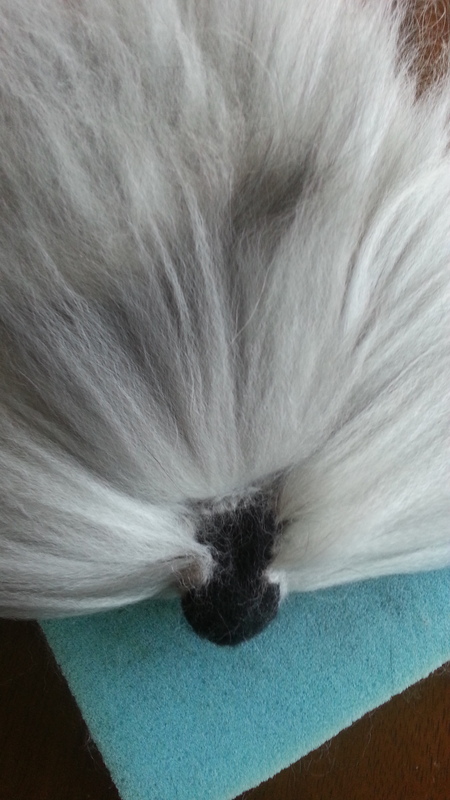 I cut out the ears and layered the tips with darker angora fibre before attaching. 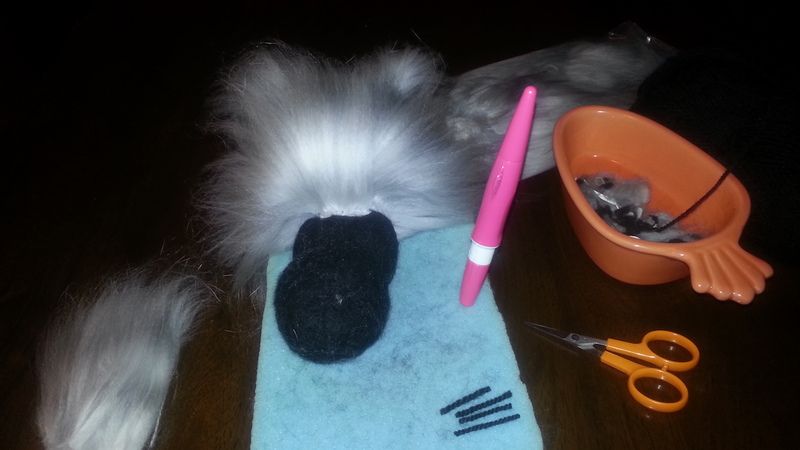 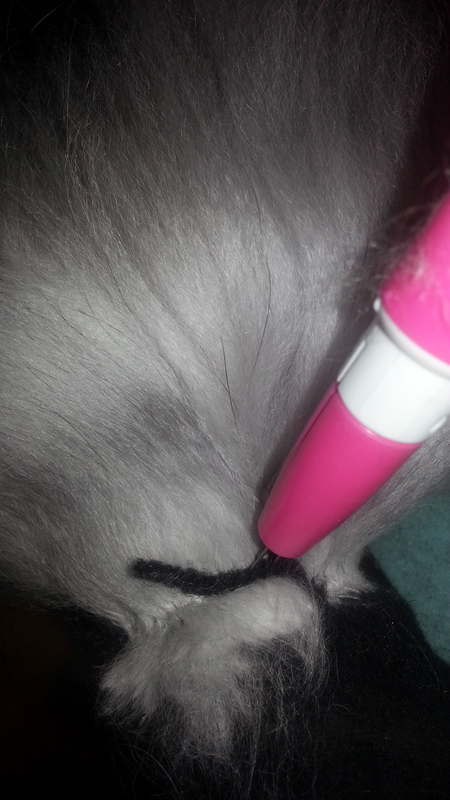 For the most realistic results, label all fibre separately; tail for tail (also great for ears) tummy for tummy, neck for fringe and top coat for body. 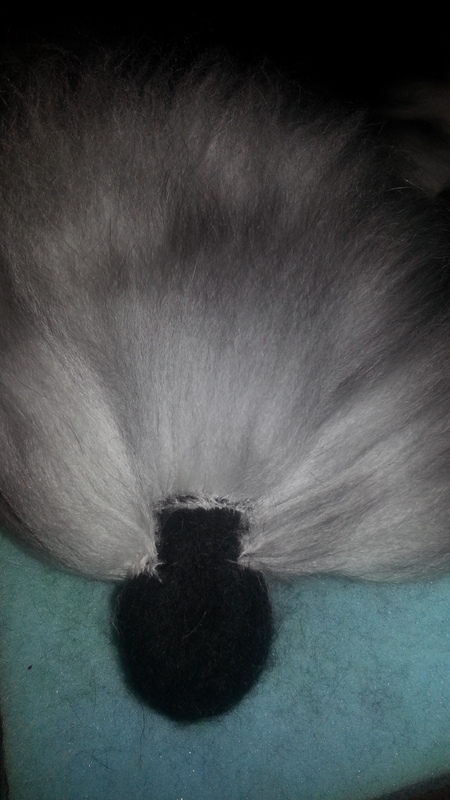 Always keep flat trimmed ends together, as this is what you attach to the body so the tips show. 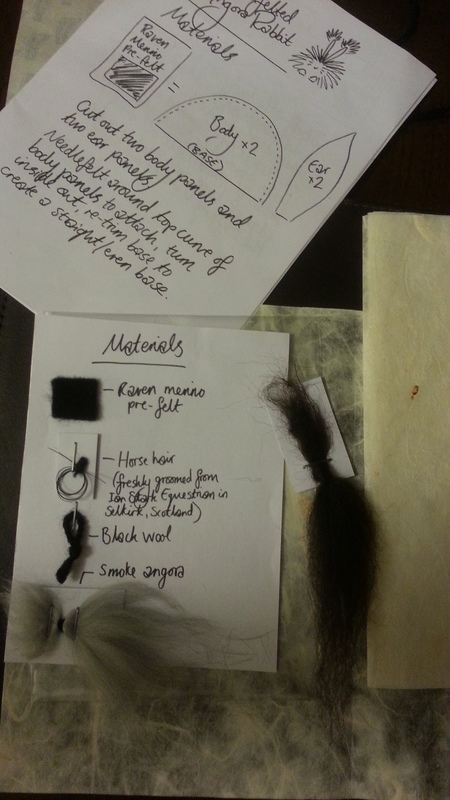 Then it’s a case of careful layering (2-3mm in between, always lay the tips facing the head) and finishing touches (horse hair for whiskers is fantastic, handy tip: brush a friends horse to save on buying). 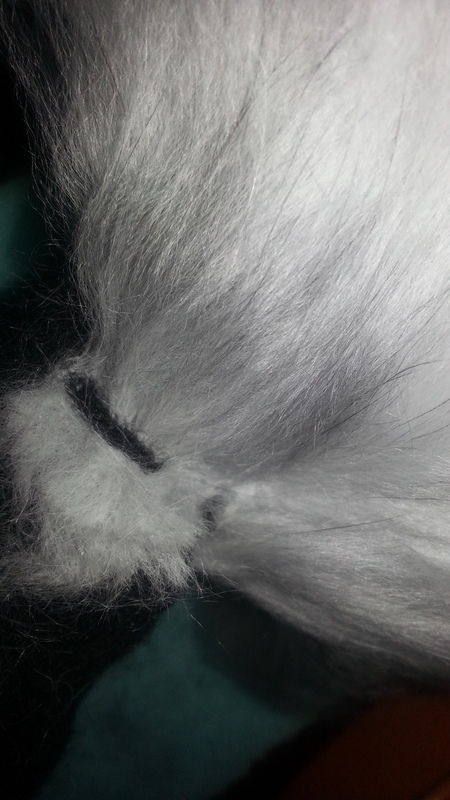 Posted 01/09/2018 by SM & filed under Wool Products.